Hydropower systems are capital intensive assets that can produce a significant income for many decades provided they are operated efficiently and maintained to a high standard. Conversely a hydropower system that is operated sub-optimally can suffer a significant reduction in energy production, and therefore income, even though the operating costs remain constant. Just consider what a difference 10% more income would make if your operating costs stayed the same? 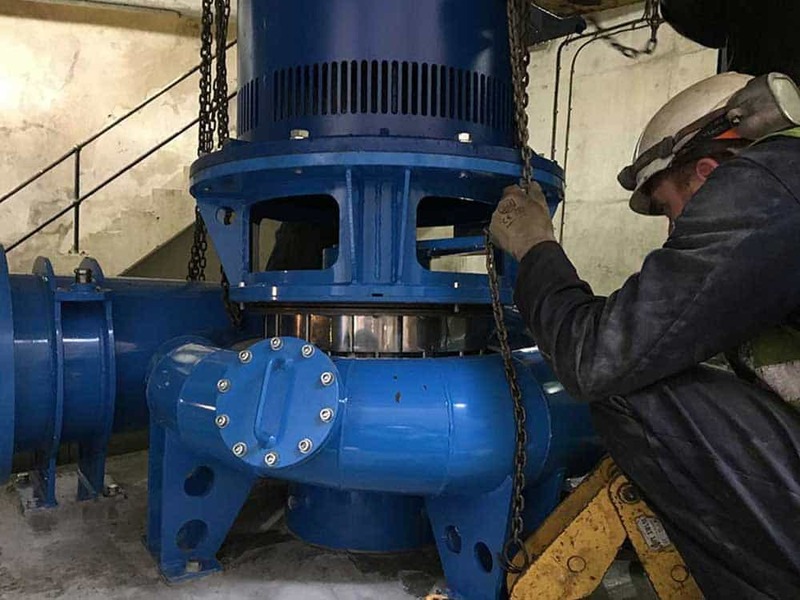 Depending on the size of the system and how involved you want to be in the day-to-day management of the system, Renewables First offers different levels of hydropower maintenance and operationional support to suit your requirements. Hydropower systems are designed to match the local flow and head characteristics and are embedded into the surrounding environment, which means that every hydropower system will have unique design and operational characteristics to make it work on a particular site. The knowledge of how to operate a hydropower system is built-up over time, particularly in regard to debris management which is different depending on the flow conditions and season. We always recommend that there is a local contact who has day-to-day responsibility for checking the operation of a hydro system because they will learn all of the nuances that relate to site, and will know what looks and sounds normal and will quickly recognise something that looks or sounds unusual. Renewables First can provide day-to-day operational support, but it is normally most effective to use our expertise for longer-term hydropower maintenance & operation support. Larger systems Please get in touch to discuss your requirements. Turbine functional checks and inspection. Turbine bearing lubrication and inspection. Gearbox oil condition analysis and oil changes. Gearbox bearing inspection and lubrication. Drive belt inspection and replacement. Generator bearing inspection and lubrication. Hydraulic system oil condition analysis and oil changes. Check all sensors operate correctly. Inspection of intake area, impounding structures, pipeline, sluice(s). A comprehensive service report is provided to record the results of the inspection, itemise work completed and list further recommend work or observations. If your site has other items that need including in the routine service we would be happy to incorporate them. During the first service visit to a new site we produce an inventory of all bearings, lubrication points, lubricants and volume, consumable drive system components and sensors to ensure spares can be quickly identified and procured if needed at short notice in the future. As well as our routine service visits, our maintenance contract clients have phone and email access to our service helpdesk and engineer call-outs whenever required. If your system has remote access and control functionality we can regularly monitor it and alert you to any issues that require addressing or despatch one of our service technicians to site to sort it out. Also because we are involved with so many hydro (and wind) sites we are always up to date with the current Power Purchase Agreement (PPA) rates and send a summary of these to our Service Agreement clients every three months, so when your PPA is due for renewal you can be sure you are getting the best deal. For clients who do not want to handle the administrative paperwork relating to the hydro system (Ofgem returns, FiT licensee returns, EA/SEPA/NRW/NIEA returns, ongoing environmental monitoring or planning condition discharging, PPA negotiation etc.) we can also take all of this on with the ‘+Admin’ add-on to our standard service contract. At the end of a routine hydropower maintenance visit we produce a report of the visit detailing what was inspected, what was changed and what non-routine maintenance tasks we would recommend undertaking along with budget costs. Changing drive couplings and belts, including realignment. Internal (endoscopic) inspections of turbines and gearboxes. Major mechanical / electrical or civil engineering repairs and refurbishments. Pipeline external and internal inspections. Flow rate measurements (to verify turbine performance and consent compliance). Hydraulic accumulator testing and recharging. Automated intake screening system maintenance. Fish pass / bypass / eel pass works. Hydro system performance and operational reviews / optimisation. As designers and builders of hydropower systems all over the UK, we are uniquely well-equipped to undertake all of you non-routine servicing. Please get in touch with details of what you require so we can discuss how we can help. Routine and non-routine hydropower maintenance servicing can be ordered at any time by informing us of your requirements, then we will respond with a completed proposal document which will need signing, scanning and emailing (or posting) back to us. For new clients we invoice 50% of the fixed-fee part in advance and this will require payment before the site visit. Existing clients are invoiced on completion with 28-day payment terms (note significant non-routine work will require staged payments). The Service Contract is ordered and administered using an NEC3 Term Service Short Contract which we can prepare for all parties to sign. If you would like Renewables First to carry out any of your Operation and Maintenance works please get in touch to discuss your requirements in more detail.